You will receive an email when your order is ready for pick up at Every Dogs Dream. Click here for directions. 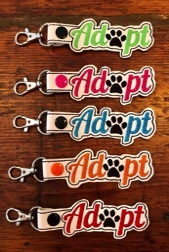 Made from vinyl, these make great fundraisers and . I would love to design something special for your team, school, or company.